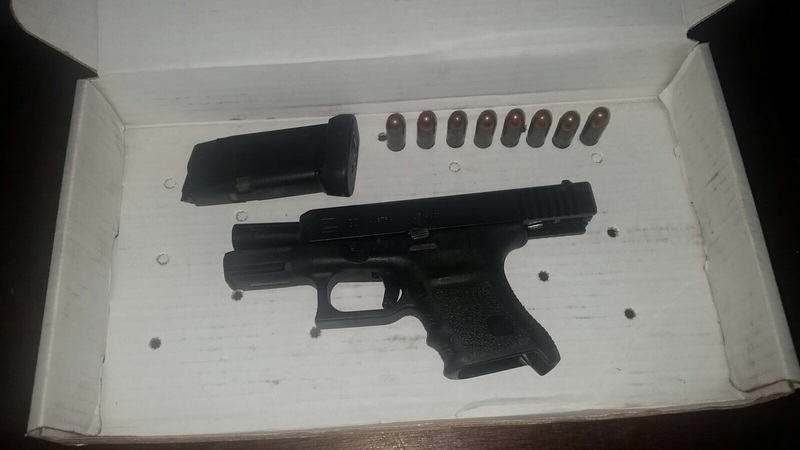 Basseterre, St. Kitts, December, 11, 2015 (RSCNPF): The twentieth (20) illegal firearm was taken from our streets during a vehicular stop and search in the Shadwell area last night (Friday, December 11). The search conducted by the Special Services Unit (SSU) around 11pm netted one Glock .45 caliber pistol and eight round of .45 ammunition. Two persons are in custody in relation to this find and charges will be brought later. The weapon has been taken for ballistics comparison. Last year a total of 12 illegal firearms were seized during Police Operations. ACP Queely noted that the Police and other Law Enforcement agencies have developed a security and safety plan for the Christmas and Carnival Season, and vehicular stop and searches are a part of the effort. The Royal St. Christopher and Nevis Police Force appreciates the assistance it has received from the public and urge citizens to continue to share any information they may have regarding criminal activity by calling any police station or Crime Stoppers at 1-800-8477(TIPS).